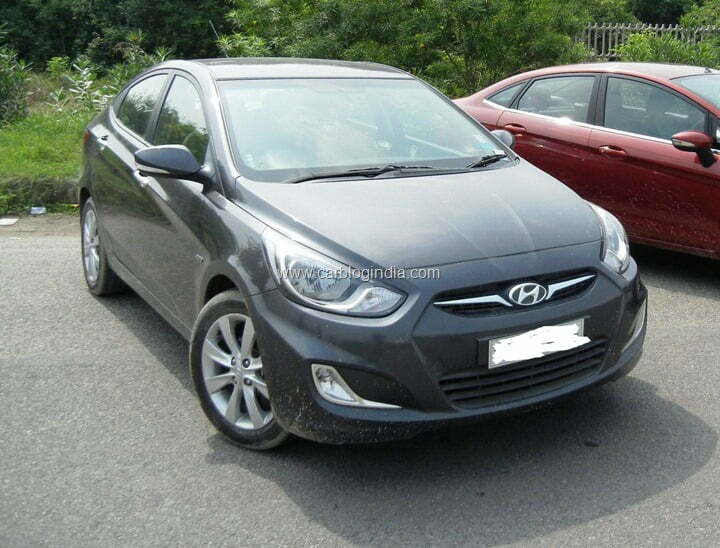 We recently interviewed one of our readers and friends Ashish about his review for his Hyundai Verna Fluidic SX(O) Automatic which he has been driving since January 2012. In this article we will bring you his user review of this car. Our review includes practical features like mileage, handling, interiors, exterior, features, maintenance etc. Ashish has driven the car close to 9000 Km, he drives it everyday to his office which is a commute of about 90 Km (to-and-fro) and is a mix of city (stop and go) and highway traffic. We recorded his feedback on various aspects and bring you these details below. We have also shared a video review of the same embedded in this article. 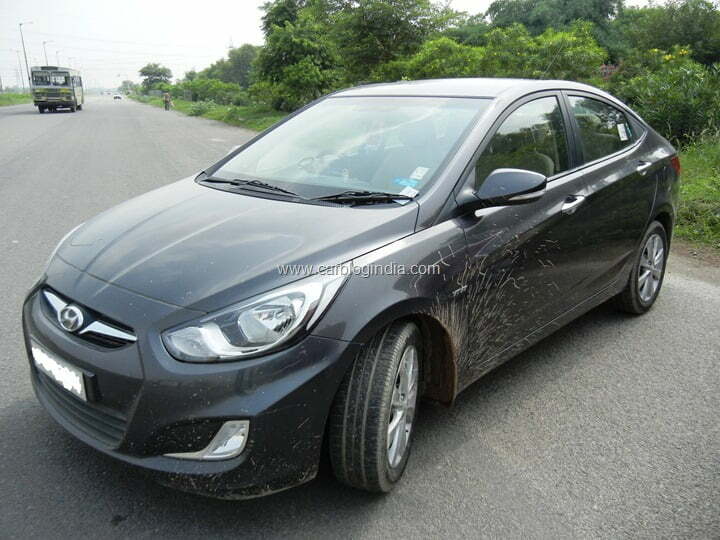 As per Ashish’s feedback, he is happy with the exteriors and couple like styling of the Hyundai Verna Fluidic. 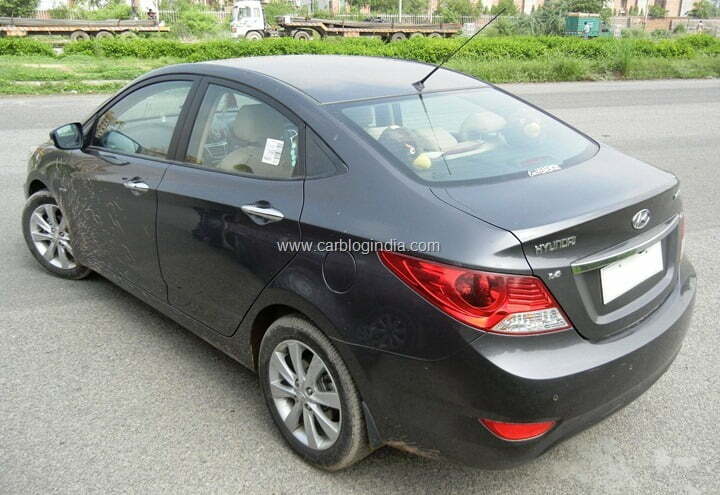 Verna is one of the most appealing car when it comes to exterior styling in its segment. With the fluidic design language, hexagonal grille, large headlamps, attractive front and side design Verna is one of the most pleasing to eyes car in the price segment. The rear of the car is also as stylish and dynamic in design as front and side profile. It has beautiful turn indicators integrated with outside rear view mirrors. The outside mirrors are power folding and internally adjustable electrically. With premium design elements it does live up to the expectations in terms of exteriors and aesthetics. 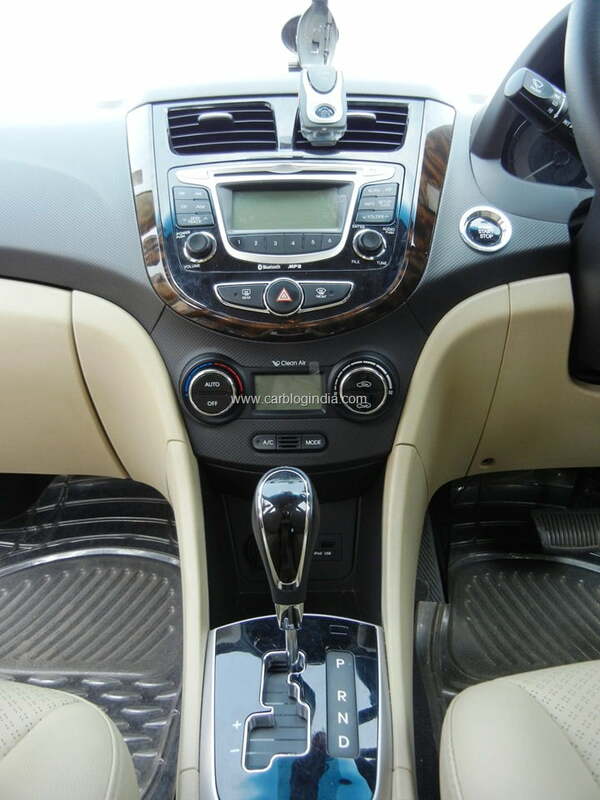 Coming to the interiors, the Verna offers premium looking beige brown interiors with wood finish inserts on the central console, door trims, chrome on the inside and outside door handles. 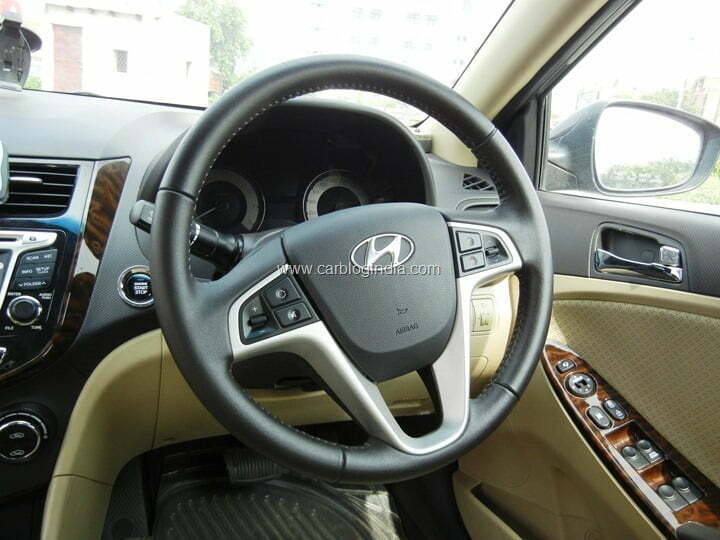 The interiors are spacious and comfortable and premium looking. Some of the features which Ashish liked the most of start-stop button with keyless entry and smart key using which he does not have to take the key out of his pocket to access the car and drive it. Power folding mirrors is another thing which Ashish likes about the feature set of the car. He also liked the integrated rear view camera which gives a very easy way to park the car. Some of the features which Ashish is not too pleased with is the quality and features of the audio system, the display of the Audio system and the information is limited. He expects the Bluetooth of the car to support phonebook dialing etc. as additional feature. He also misses the seat height adjust and telescopic steering adjust which Verna does not offer. The feeling inside the cabin of a Verna Automatic is quite plush and impressive with the car loaded with features, leather upholstery, automatic climate control system, automatic transmission with triptronic mode. Getting in and out of the car maybe a problem for tall people and old people as the height of the car is quite low, but the seats are comfortable to sit. 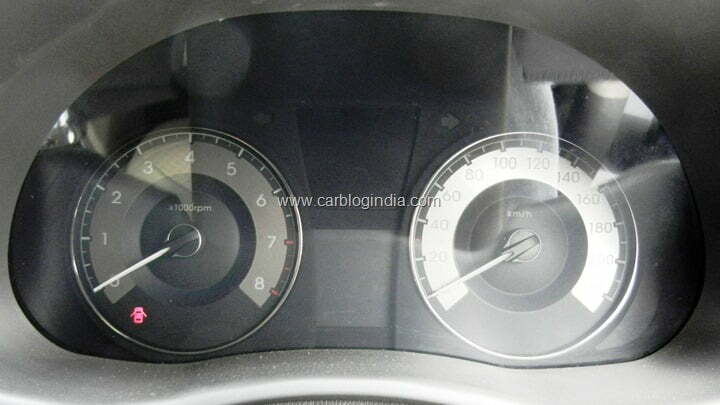 Ashish liked the soft suspensions setup of the car which makes it a comfortable car to drive. 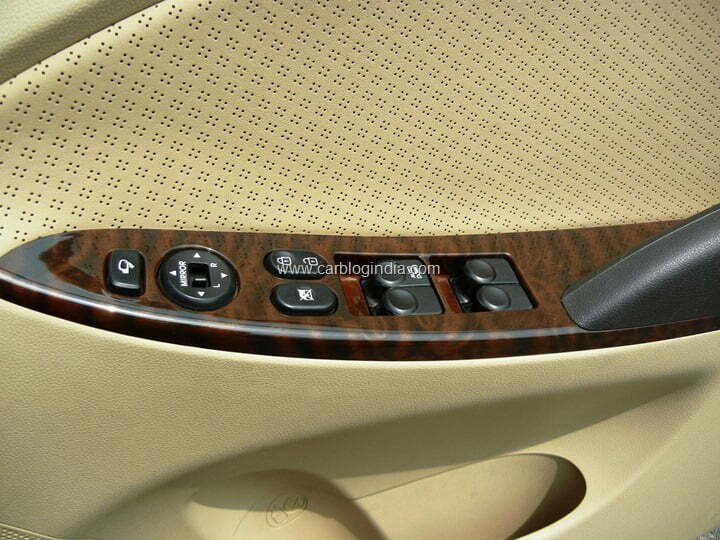 It does also gives a light steering which is very comfortable for maneuver in tight traffic, parking etc. But the light steering and soft suspension does make the car feel a bit shaky at higher speeds in excess of 90 KMPH, but he does not drive too fast, so he does not face such problems. 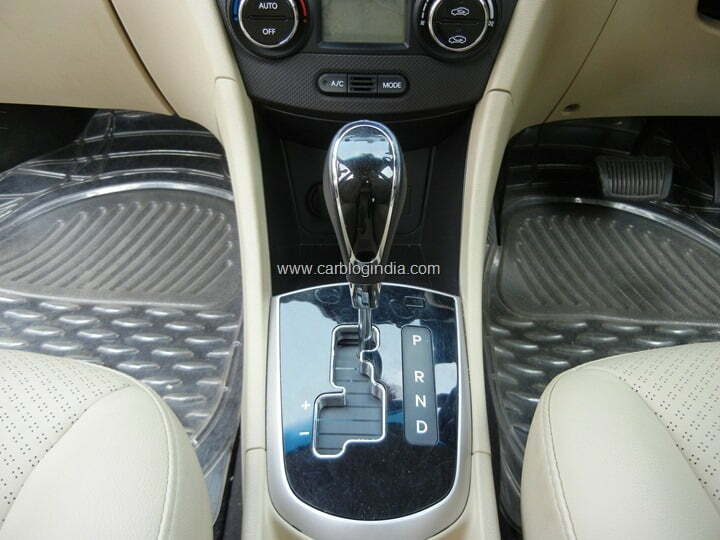 4 speed automatic transmission gearbox does feel kind of sluggish when starting from a dead stop, but once the car is in motion, it feels quite responsive because of its powerful engine and tall gear ratios. The braking of the Verna is quite impressive and effective with all 4 disk brakes which is very useful for safety. For most of the city commuters, this car will be a very pleasurable one to drive, but if you are a spirited driver who drives at higher speeds on the highways, the soft suspensions may be a slight disappointment. As per Ashish’s feedback, he gets a real world mileage of between 10 to 12 KMPL which is quite comparable to other automatics and manual sedans in this segment. Also the maintenance cost is not much as it does offer free services for first year and has not costed him much as his car is less than one year old. In totality, Verna Petrol automatic is one of the most comfortable and feature loaded cars in its segment. It does offer great features and value for money in the segment and gives a comfortable driving experience both to the drivers and passengers. The fuel mileage is also impressive between 10 to 12 KMPL in the rear world traffic conditions. However one of the turn-offs are high speeds stability, so if you don’t drive faster than 90 KMPH too often, this car won’t disappoint you in most of the departments.